Each set is 9 watches: 7 plated versions of existing ones and 2 exclusives. PB01 has Ex-Aid XXL and Delta. PB02 has XXR and Zolda. piont of interest, the links you posted just goes tp Bandai global homepage, it would be more helpful to just copy the pictures. Click the link twice. The Premium Bandai Webshop has this weird thing since about a month or so that if you click on a product link outside of Japan you'll get redirected to the global page instead. Closing that page and then clicking on the link again takes you to the actual product site. so each set is 9 999 yen, and also comes with stands for each of the ridwatches. 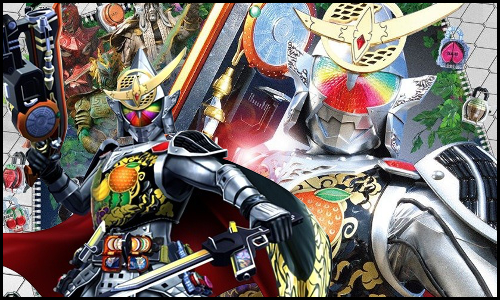 edit: also, this leaves 4 secondary riders without metalic versions, possible third set? Last edited by KibouNoRyu; 04-17-2019 at 02:48 PM..